Our puppy, Koda, turns one today! It's so hard to believe that we began our search for him over a year ago. So in honor of our little puppy turning one, I'm sharing with you all a few tips for getting a new puppy. We began our search by asking ourselves "what sort of characteristics/features do we want our dog to have?" 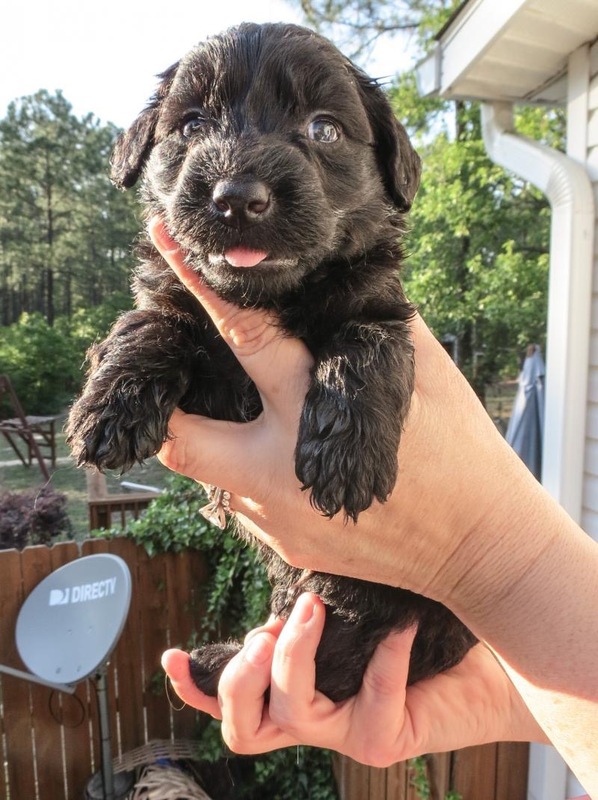 After doing a lot of research on dog personalities, and doing some digging on what certain breeds were like, we were pretty certain that we wanted a miniature goldendoodle. Isaac grew up with a yellow lab and golden retriever, and both of those breeds have a really good temperament, but we were also wanting something that wasn't really big considering that we were living in a small, 600 sqft apartment. At the same time, I really wanted a dog that didn't shed a whole lot so that we didn't have to be vacuuming and constantly taking out the lint roller every time we had to get ready for work. 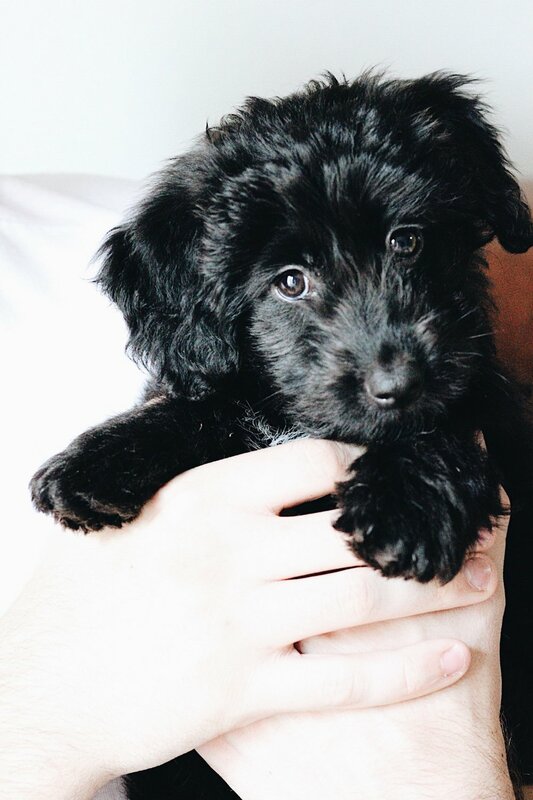 We read that poodles have a hypoallergenic fur that didn't shed a whole lot, so that's how we ended up being set on getting a miniature goldendoodle to get the best of both worlds. 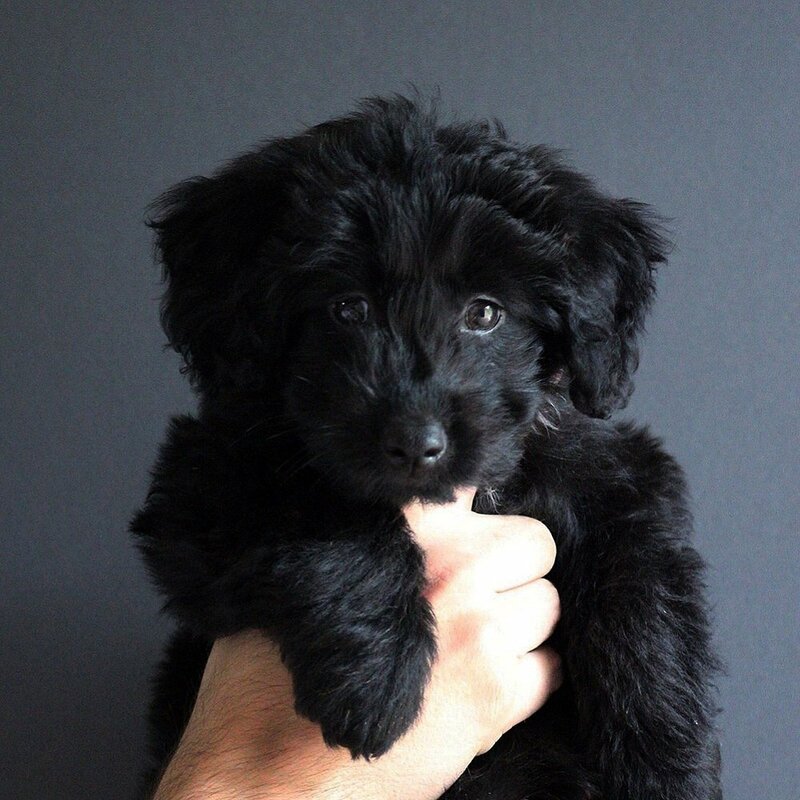 We did a TON of research on goldendoodles, and then came across Koda's breed, an aussiedoodle (some also refer to this breed as an aussiepoo). I had never even heard of that breed until we were doing some research, but it's a mix between an australian shepherd and a poodle. After reading more about aussiedoodles, it pretty much fit exactly what we were looking for in a dog: they have low to non-shedding coats, they are lively and playful, easy to train/housebreak, they aim to please, and they are good around children. We also spent a lot of time watching videos of that particular dog breed on YouTube just to see if their description online was pretty typical across the board. So then began our search for an aussiedoodle. That is, if Greenville even had any breeders nearby. We spent a LOT of time on PuppyFind.com. On there you can filter your search by state, breed, etc. It's also nice because breeders have "ratings," so you're able to make sure that you get a puppy from a credible breeder. We stumbled upon Koda's breeder on Puppy Find just in time because they had just announced a new litter! Koda came from RavenWood Kennels, a boutique kennel specializing in miniature poodles, miniature australian shepherds, ausiedoodles, and now they also just started breeding cockapoos. We were really happy with our experience with RavenWood Kennels, and would definitely recommend them to anyone. They were so accommodating when we would ask them to send us pictures of the puppies during the process, and were really quick to answer any questions we had during the process. We also really liked them because they were one of the only breeders that allowed you to pay for JUST the dog itself. A lot of breeders would price their dogs $1000+ and include things like microchips, crates, food supply, etc. (things we didn't feel like we needed) without being able to negotiate the price down for JUST the dog. RavenWood still ended up giving us food for our new pup and a toy from their kennel with Koda's mom's "scent." They also provided us with all of his paperwork and made sure that he was up-to-date with all the vaccines he needed before heading home. We had a hard time picking which puppy we wanted from the litter, but ended up smitten by little Rufus (that was Koda's name before we took him home with us). I would HIGHLY recommend visiting the kennel if you are able to that way you can get a sense of the temperament of the dog before you pick one - are they hyper, are they quiet/reserved, how are they around the other dogs in the litter? Visiting the kennel before picking one out would have been VERY beneficial for us had the kennel been closer to where we lived, but we were still able to "kind of" get a sense of what Koda was like by the videos that were sent to us. So if you're dealing with a breeder that isn't super close to you, I would definitely ask for videos if possible! Here's a picture of him when he was on the website, wasn't he just too precious? It's all fun and games until you take them home - haha, just kidding. But seriously, nothing you do or try to do could really ever make you fully equipped for what you're about to experience in the next few weeks (months really). So many people have told me that having a puppy is more challenging than having a baby (I don't really see how this could be possible), but the point is, bringing a puppy home IS challenging. Before you take your puppy home, buy some of the basics ahead of time, so that you and your dog can settle in without too many mad dashes to the store. I would also recommend "puppy-proofing" your home before your puppy comes home with you because they are REALLY curious, and have no sense of what they should (and shouldn't) be chewing. This sounds dorky, but your puppy grows up way too fast, enjoy that puppy scent while you still can. I'll never forget the feeling of taking this little guy home and finally being able to hold him in our arms! I mean, just look at him! It's so hard for us to believe that our little guy is one today! We still think that he's the perfect dog for us, and can't even remember what our lives were like before him. Below are some pictures of our little "birthday" celebration for him, complete with a coconut-honey doggy cake (find the recipe here). Enjoy!